We’re delighted to announce that the next draw of Captain Manchester’s Magical Tombola, kindly sponsored by ZenOffice will take place on Friday 10th August with more amazing prizes on offer! The July draw was a huge success, with 257 entries raising a fantastic £1,285 for Forever Manchester to support community activity right across Greater Manchester. This month’s Magical Tombola will be drawn on Friday 10th August. Online entries will close at 5pm on Wednesday 8th August. 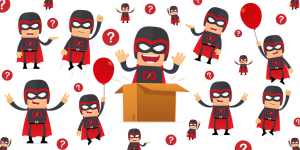 If you wish to take part in the Tombola draws every month you can now set up a monthly direct debit (scroll to the bottom of this page for more details). A wonderful 3-night holiday for two to Venice. Three nights in Venice for two people . See bottom of page for ‘Holiday Conditions of Entry’. 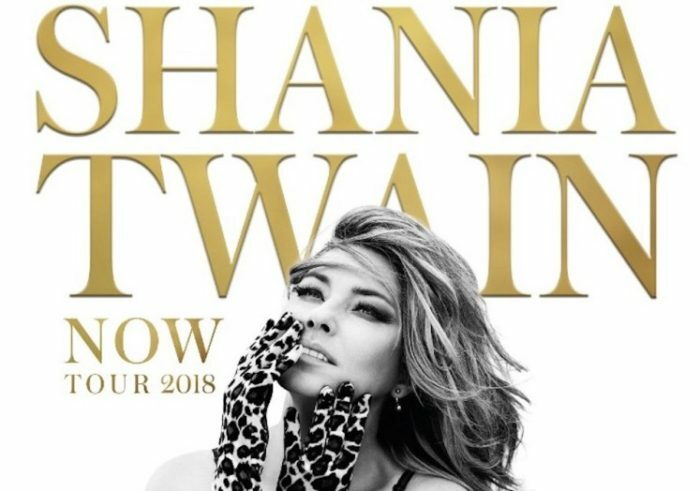 Two tickets for Shania Twain at Manchester Arena on Saturday 22nd September. Inflata Nation Session for 4 people. Inflata Nation located in Trafford Park is bursting with activities that all the family can enjoy. Wait patiently with everything crossed for the draw on Friday 10th August 2018. You will then receive a notification via email that your entry has been submitted. We will contact you to acknowledge receipt of your payment, and contact you again after the draw to let you know if you’ve been lucky or not. If you wish to be automatically entered into future Tombola draws you can set up a monthly direct debit using the link below. You can choose to have up to six chances per month by selecting the relevant amount. For example, if you choose to have two chances per month, select “£10 (2 chances)” and each month we will enter two tickets into the draw for you. When setting up the direct debit, you will be given a date of your first collection. If the date provided is after the next draw date, and you want to be entered into the next draw, you will have to buy a ‘one-off’ ticket for the next draw. For all future draws, you will be automatically entered into the draw. If you wish to cancel your direct debit at any time, you can do so via your own bank, but please email us at accounts@forevermanchester.com to let us know. Once you have set up your direct debit, you will receive a confirmation email for you to check and confirm your details. We will be automatically notified of your direct debit payment. If you encounter any problems, or have any questions regarding the direct debit payment, please email us at tombola@forevermanchester.com. The promoter of this competition is Althams Travel and Forever Manchester. 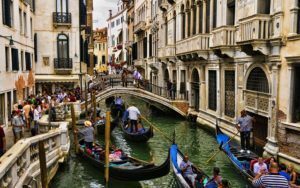 The prize includes return flights from Manchester and three nights’ accommodation for two people to Venice (board unspecified). The periods travel can be taken in are between 27th August 2018 and 14th December 2018. Both hotel and flights are subject to availability. Early booking is recommended. The prize does not include travel insurance, visas (if applicable), airport transfers, meals and refreshments, optional activities or spending money. The winner must be at least 18 years old and hold a valid 10-year UK passport, with six months or more remaining after return to the UK. The winner must be contactable from the hours of 0900 to 1900 by telephone or email for 14 working days from first being contacted by Althams Travel and in a position to agree travel dates within this time period. 1. Captain Manchester's Magical Tombola is a charity fundraising initiative promoted and administered by Forever Manchester, a registered charity (Charity No. 1017504) and a company limited by guarantee, registered in England and Wales under 2785133. 2. The person responsible for Captain Manchester's Magical Tombola is Nick Massey, Forever Manchester, 2nd Floor, 8 Hewitt Street, Manchester M15 4GB. 3. Captain Manchester's Magical Tombola is a small society lottery and is registered with the licensing authority. It is run in compliance with the rules laid down by the Gambling Act 2005 (www.gamblingcommission.gov.uk) and is subject to the laws of England and Wales. 4. 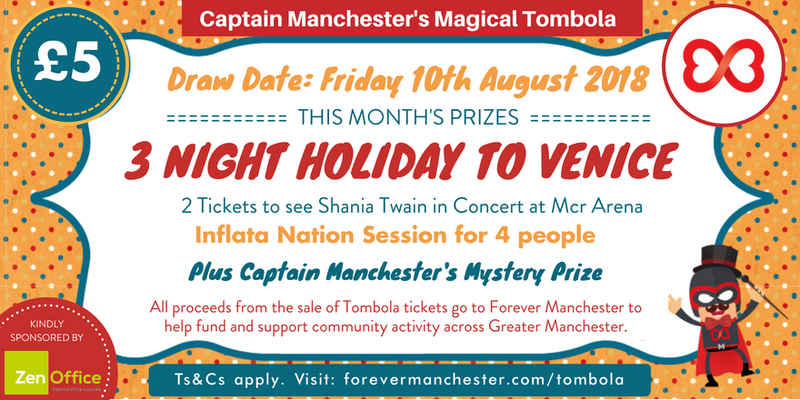 Captain Manchester's Magical Tombola is intended to be a fun way to support Forever Manchester. if you feel you may have a problem with gambling, support and advice can be obtained from Gamble Aware or by contacting their National Helpline on 0808 8020 133. 5. Every penny raised from Captain Manchester's Magical Tombola will go to Forever Manchester to help fund and support community activity across Greater Manchester. 6. All entrants must be aged 18 or over and must be residents of the United Kingdom. Forever Manchester reserves the right to request verification of age. Any person who has entered who is under 18 years old will automatically forfeit any prize. 7. Forever Manchester employees are excluded from entering Captain Manchester's Magical Tombola. 8. Forever Manchester may (without any reason or notice) decline to accept an application, terminate or suspend the scheme. Forever Manchester has the right to change or update the rules at their discretion. The decision shall be final and binding. 9. In the event that a third party can no longer provide a prize, Forever Manchester will provide an alternative prize. Forever Manchester accepts no liability on the third party’s failure to provide the original prize. 10. The cost of entry is £5 each, and gives the entrant one chance of winning a prize in the advertised monthly draw. 11. Entrants can purchase more than one ticket, up to a maximum of 5 entries (£25), to give them more chance of winning. 12. A draw will be made every month, but new tickets must be purchased for each draw. 13. Entrants who purchase a physical ticket, will retain part of the ticket for proof of purchase, and return the remaining ticket stub together with their entry fee. Entrants are required to enter their contact details and email address on the returning ticket stub. The Ticket stub will be entered into the draw. 14. Entrants who purchase a ticket online will not receive a physical ticket. Instead Forever Manchester will produce a ticket(s) on the entrant's behalf which will be entered into the draw. All online entrants will receive a confirmation email for proof of purchase. 15. Any entrants that wish to inform Forever Manchester of any change in their contact details, should email tombola@forevermanchester.com with immediate effect. 16. Forever Manchester will store and process applicant's data in accordance with the provisions of the Data Protection Act 1998 and subject to Forever Manchester's Terms and Conditions. 17. Each monthly draw will be conducted by adding all the tickets into a tombola drum, with the winning tickets being drawn by an independent person. 18. The winners will be notified by email within 5 working days of the draw being made, via the contact details registered. 19. The winner will be sent their prize within 28 working days of the draw. 20. All winners must adhere to the terms and conditions of each prize. 21. Forever Manchester accepts no liability for loss, theft or delay due to post for any correspondence or other items. 22. Forever Manchester reserves the right to publish the names of the winners on the Forever Manchester website. 23. No substitute will be offered for any prize. 24. By entering Captain Manchester’s Magical Tombola prize draw you agree to receiving further communications from Forever Manchester.